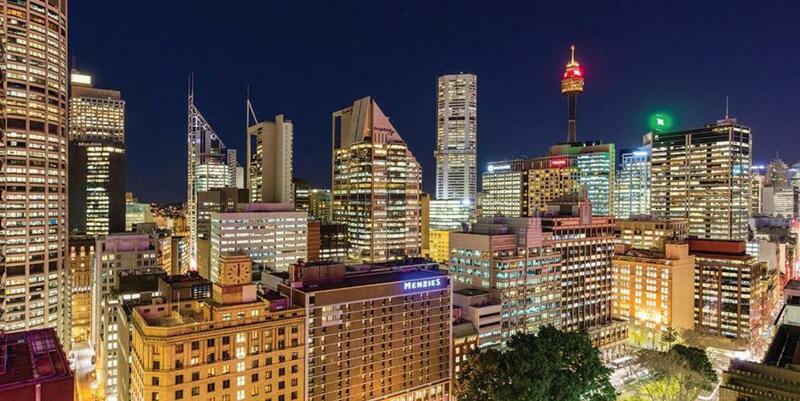 Right in the heart of Sydney, located within a short distance of Art Gallery of New South Wales and Hyde Park Barracks Museum, AMAZING! 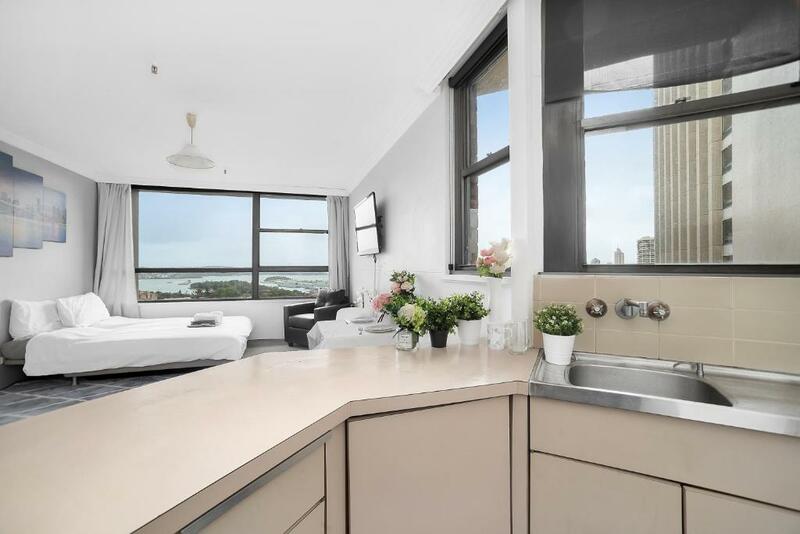 LUXURY CBD APT WITH SKYLINE VIEWS offers free WiFi, air conditioning and household amenities such as an oven and electric tea pot. 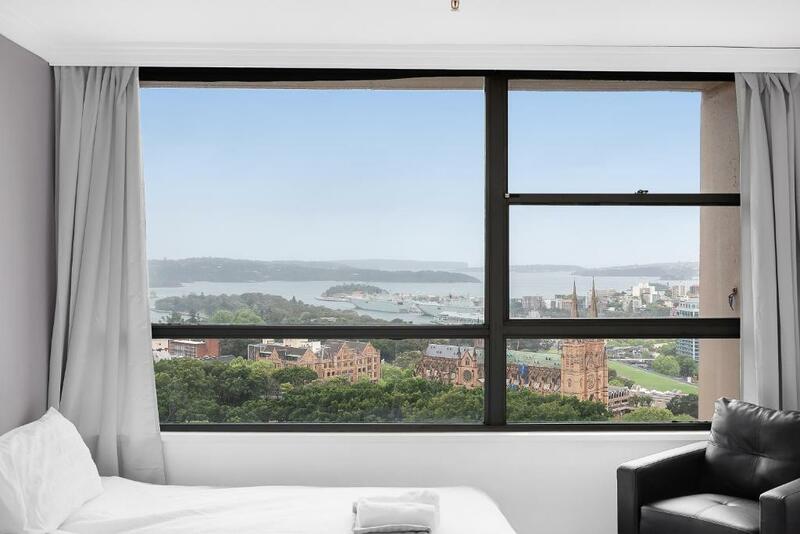 The property is a 20-minute walk from The Royal Botanic Gardens. The apartment consists of 1 bathroom with free toiletries and a hair dryer, and a seating area. A flat-screen TV with satellite channels is offered. International Convention Centre Sydney is 1.4 miles from AMAZING! 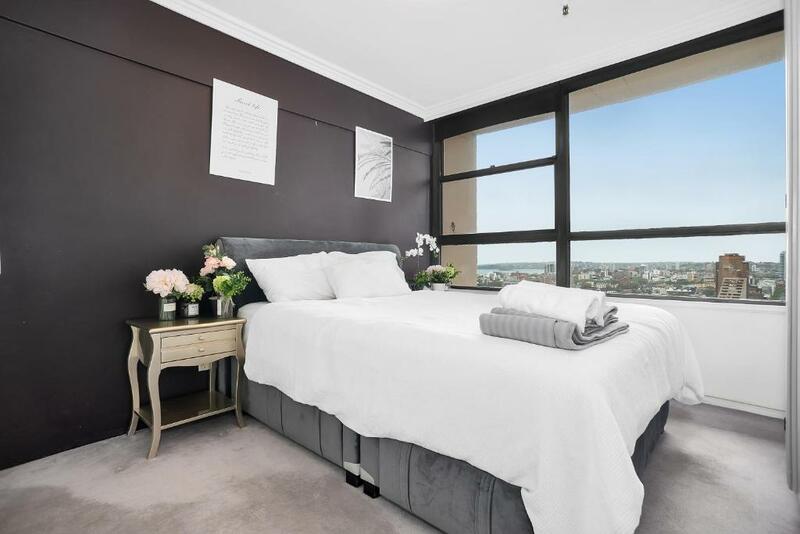 LUXURY CBD APT. The nearest airport is Kingsford Smith Airport, 5 miles from the accommodation. When would you like to stay at AMAZING! 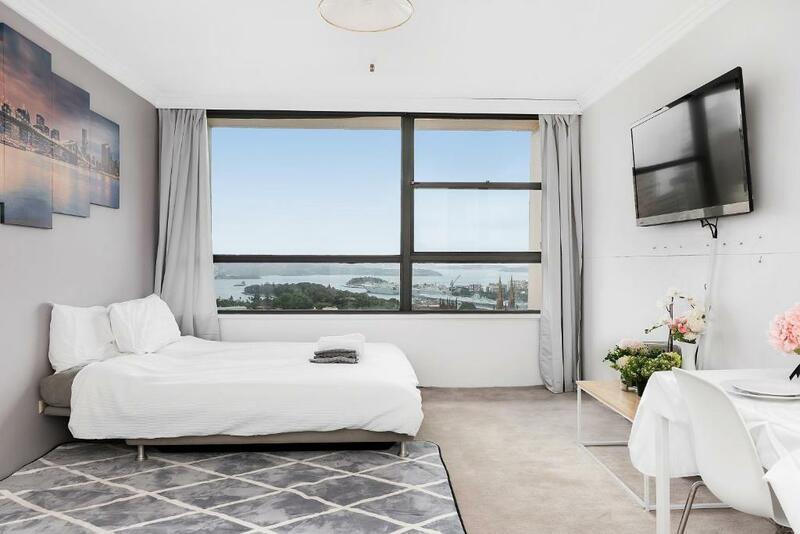 LUXURY CBD APT WITH SKYLINE VIEWS? 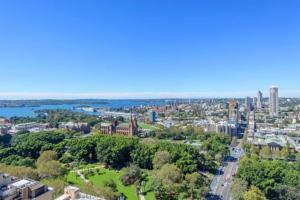 3 minutes walk to Town Hall Station, QVB, Meseum Station, Hyde Park, The Galleries Excellent location in the heart of City of Sydney I am more than happy to answer any questions:) LOCATION is absolutely important!!! Enjoy the city lights from the rooftop lounge and pool areas or from your room.,Let your living area with our eye catching range of gorgeous statement pieces, vivid ornaments and furnishings. We use portable air conditioner instead of central ac. Brand new and luxury 1 bedroom/ 1bathroom Apartment Equipped appliances. 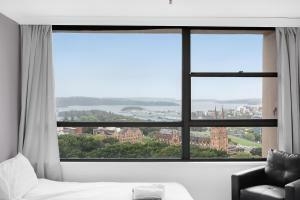 Located across the road from the beautiful Hyde park your apartment is in the heart of Sydney. 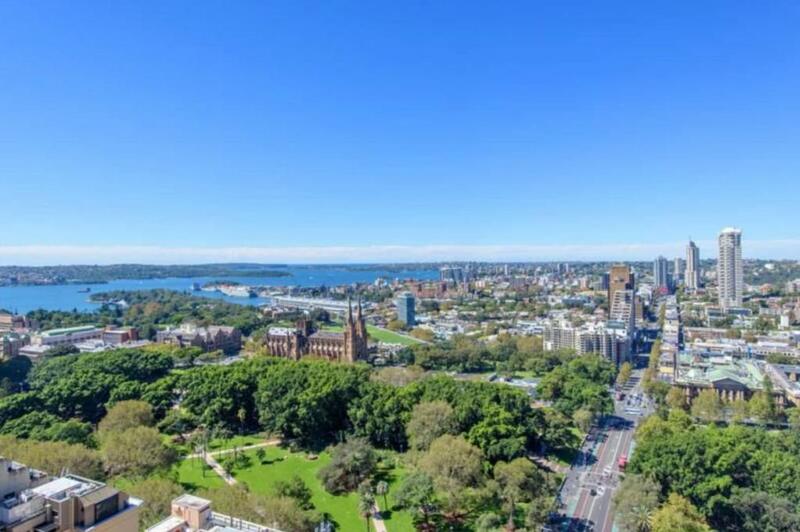 A stroll through the famous Hyde park will take you to some of Sydney's iconic attractions include Archibald fountain, St Mary’s Cathedral, Australian Museum and onto Royal Botanical Gardens while in the opposite direction leads to Westfield, Sydney's Tower Eye and Queen Victoria Building. When you're feeling hungry, many of the neighbouring streets hold home to Sydney’s fine restaurants, all catering to your needs from Australian, European, American to Asian cuisines. For your morning coffee hit there are plenty of good cafes at your door step. We love meeting people from all over the world. If you would like to meet up we are more than happy to if we are in town. Otherwise, we are happy to give you your own space. Photos were taken by professionals. Furniture as well as interior of the apartment is not fresh from the box and has been used by previous guest, there will be some level of stains, scratches and marks. We can not give you perfection but will do our best to keep it tidy. House Rules AMAZING! LUXURY CBD APT WITH SKYLINE VIEWS takes special requests – add in the next step! A AUD300 damage deposit is required on arrival (around USD214.54). This deposit will be fully refunded at check-out, as long as there isn't any damage to the property. Please inform AMAZING! 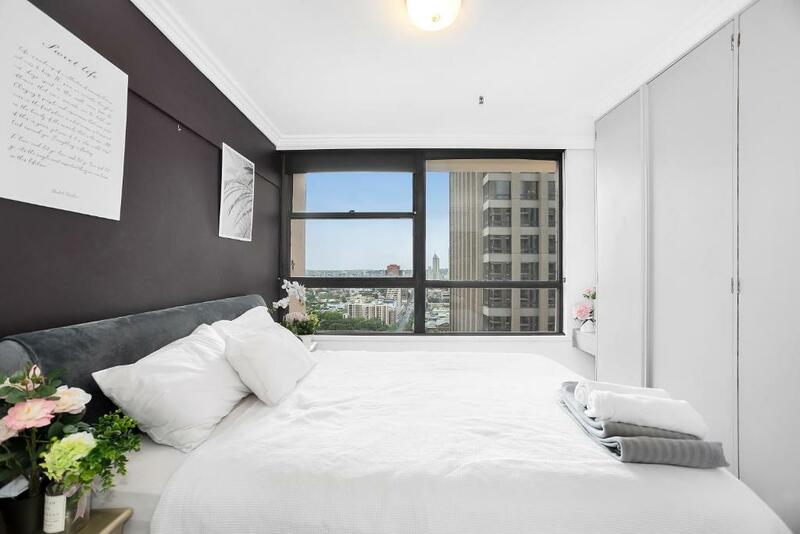 LUXURY CBD APT WITH SKYLINE VIEWS of your expected arrival time in advance. You can use the Special Requests box when booking, or contact the property directly using the contact details in your confirmation. A damage deposit of AUD 300 is required on arrival. That's about 214.54USD. This will be collected as a cash payment. You should be reimbursed on check-out. Your deposit will be refunded in full, in cash, subject to an inspection of the property. To say this is a luxury apartment is a joke, sorry. Very good photographer who took these photos... The apartment probably has not been touched up since the 80's. It is clean though. There was no second bed. And the couch was not set up with linen. The furniture was very dated. It is only suitable for 2 people. There is no AC in the room. The Bed is hard, actually it is a sofa bed. Old appartment. Someone took our keys when we arrive, we have to wait for the keys. The block out blinds in the main living area didn't meet in the middle there was about a meter or so gap. But it didn't really affect anything. It was neat and tidy, it was a very comfortable space. The location was awsome and the view was amazing. I would definitely stay again. It was an older apartment but it was very clean and well priced, cannot complain. Location was unbeatable, spacious apartment with amazing views. The bathroom was very small. Was very old, not renovated, can only fit one of person at a time. We had agreed on a time prior, but we ended up did having to wait 40 minutes for checkout out and for the owner to return our bond.